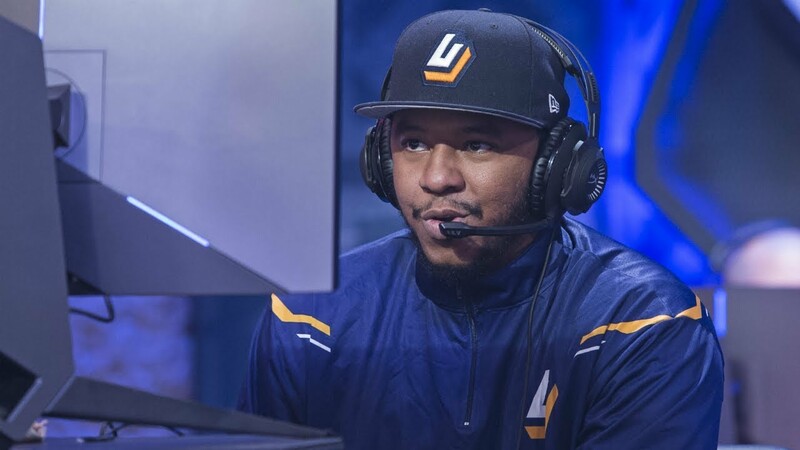 There’s a nominal lull in NBA 2K League ongoings at the moment, but arguably the most important month of the year for most teams in rapidly approaching. The NBA 2K League season-two combine is almost here, and it’s in December’s 16 playing windows where the players will truly separate themselves from the rest. Consequently, here’s what each lottery team is currently lacking and thus looking for among players in the combine. Will and I surveyed each team’s general landscape in our Seasons In Review, but I wanted to do a deeper dive into what each team is specifically looking for, starting with Jazz Gaming. Two things to remember: the league build will be very different from the retail build, and the archetypes used in the combine are not guaranteed to be the same archetypes as appear in season two of the league. The Jazz hold the No. 1 overall pick after winning the draft lottery. They return last year’s No. 3 overall selection, Compete, as well as third-round pick Deedz. Their coaching position is yet to be filled. Here’s a stat for you: the Jazz nearly doubled their assists at point guard in wins as opposed to losses. That means that in the Jazz’s wins, their point guard averaged over 12 assists per game, whereas in losses their point guard averaged around 6.5 assists. Compete averaged nearly three more assists in wins (nearly 13 per game) than in losses (under 10 per game). Here’s another stat for you: the Jazz went 0-3 in games where they ran a shot-creating slasher. The only PG archetype where they broke even (in more than a single sample size) was the sharpshooting playmaker, where they went 6-6, with only Compete playing that role. The point, of course, is that the Jazz will be better served with Compete at point guard, never mind the archetypes available in the league. No coach believes Compete to be a ballhog, and the stats back that up; they all believe him to be a leader. Multiple coaches have praised both Compete and Deedz’s leadership and character. The two were the only Jazz players to play all 20 games last season, which means that the Jazz realistically are looking for three starters. Deedz is versatile enough to essentially play anywhere—he recorded games at four positions in season one. But the Jazz would be best served to put him in a role that doesn’t limit his offensive capabilities. In Jazz wins, Deedz shot full 12% better and scored five more points per game than in losses (13.6 to 8.7). Thankfully, that’s more of a system change than a positional specificity. Either small forward or power forward—whatever the game or archetypes dictate—will be a good fit for Deedz. That means that the Jazz should look for a shooting guard, forward, and center. Shooting guards have so far played a more important role in NBA 2K19 Pro-Am than they did in season one, but with Compete running the point the shooting guard should be someone who can score—and by score, I mean shoot. Jazz pure sharpshooters need to hit their shots, of which they didn’t get too many per game (5, with 2.5 threes/game). The team raced out to a very respectable start when Smoove was among the league leaders in field goal percentage. The Jazz should be targeting a player with as high a green percentage as possible in the later rounds. Locks are pretty clearly an important part of the game, even though the league will be different. There are rumours that Compete wants to play there. As discussed above, that’s not what the Jazz realistically need. Nor do they particularly want Deedz there; the Jazz went 5-10 with him on the sharpshooting rim protector, and he averaged under nine points per game on that archetype (which as elucidated above is not the path to Jazz success). This isn’t really a build that was present in season one, so it’s up to the teams to find the best player they can there. Ideally, that means someone who can still shoot a little bit despite the limitations of the build. With Deedz’s skill, the need to be an all-encompassing defender is somewhat lifted, meaning the Jazz can probably find their target with their early second-round pick. That’s good, since the biggest hole the team has to fill is at center after letting MrSlaughter walk unprotected. The Jazz need to find a skilled center who also excels in the pick-and-roll. Slaughter was perhaps too defensively reliant on the powerful pre-patch Pure Rim Protector—the Jazz went 4-4 with him on that archetype. Conversely, the team went 0-5 with Slaughter on the Slashing Rebounder, despite the second-round pick posting his best offensive stats of any archetype (23 points, 10.4 rebounds per game). The Jazz need a very capable center, period. Deedz played primarily at power forward; while he might want to man the 5 in season two, that might not be the best way to maximize the team’s talent across all five positions. Compete and the offense thrived with a capable pick-and-roll player in the middle, but finding someone who can maintain that standard and simultaneously star defensively is imperative. The importance of this position won’t be mitigated by wherever Compete decides to play. Improved Compete defense at a lock will heighten the need for offense (particularly in the pick-and-roll that seems inevitable with a seasonal coach). Compete at point guard warrants improved interior defense. Combining that with a player who can complement Compete in pick-and-roll and take that to the next level? That’s the perfect note. What will Director of Esports Josh Barnsey and co. do? It’s hard to tell, considering the team’s coaching position is unfilled and only a seasonal position at that. It’s highly likely that Compete and Deedz will play a major role in helping the team draft. I’ll reserve judgement on that for now, but it’s important to understand what best serves your team and what weaknesses must be addressed in the draft. Thankfully, the Jazz have the very handy first overall pick with which to fill whatever they perceive to be their biggest weakness.